Instagram is a great way for businesses to display, share, and connect products to customers. The popular photo-and-video-sharing website combines ease of use with advanced photography filters, to make it very easy to share quality photographs with a large audience. Additionally, using their #hashtags can help that audience find your products. 1) Ensure your business' account profile is fully filled out, and includes the URL to your PayStand Web-store. This link is offered to visitors of your Instagram photo album. 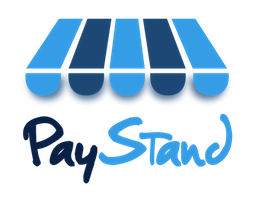 2) When posting a photo, always include the Paystand.Me URL to that item. Even though Instagram won't turn it into a clickable link, customers will copy & paste the URL to their browser to buy your item. We also encourage using #hashtags, to strengthen your item's relevance to the category your audience is looking for (e.g., adding "#jewelry" when selling a necklace, #music if selling an album).